Don’t worry, no spoilers ahead. I watched two TV shows today — Game of Thrones and House of Cards. What I find really interesting is the fact that both episodes I watched featured battles — the former physical and the latter political. Interestingly enough it made me think of the strength of each protagonist. Are they really that strong or are they just lucky? Well, while on one level a person will need to be personally stoic to overcome the odds, the person will also need fate on his side. I wonder sometimes if I am strong as them just that… I haven’t been as lucky as them. Well, if something is not meant for me, I cannot reverse that decision. However, I can dictate the choices I take and be confident in defending my choices. Another thing I learnt is the importance of loyalty. Both protagonists had very loyal circles. I know that I used to have them as well but because I neglected them, I no longer have them. Makes me think about reuniting with those great individuals but I do fear that they might not want to renew that loyalty. I don’t blame them if they don’t want to. Yes, I too can be very loyal to people and like other people as well, my loyalty wears out when it is not trusted or when it has been chipped away by hurt. Sometimes, I believe, the way I treat people or interact with them, can be quite imposing… quite demanding like a fierce leader. I believe I get carried away sometimes by the safety net uncannily formed by all those wonderful people who never cease to at least give me their smile. Sometimes they make me feel like a don. Unfortunately, a don’s ways can be quite contemptous. Who am I to demand favours from them? I think that is why I went through whatever happened to me. My life’s experiences have killed the airhead in me and forced me down on my knees as a beggar in life. That was how I learnt humility. I am very thankful for that lesson in life and to this day, whenever the ugly beast in me stirs, I desperately pray that I will be granted humility. I don’t have to contact my friends regularly, right? I think we can all mutually agree on that. I just need to make an effort to maintain the connections I have made. I am not a bad person; I am just really bad at keeping friends. Well, point being, I am finally acknowledging that I do possess some sort of leadership quality… potent as it is, I know it takes more than capability to be a leader. It takes strong moral standings and principles. It takes emotional and mental strengths. It takes loyalty to people and people’s loyalty in return. It takes luck and fate. It takes all of me. I will have to awaken that beast in me. That gentle yet firm leader. Whatever I set out to do today, in the end I didn’t achieve them. Whaaaaaa…. Hais. Hay naku. I think I am slowly turning more pinay recently. It is quite a change of scene… to entertain my lonesome thoughts on lonely nights like this rather than entertaining some guy whom I am not even sure if he likes me in a less platonic way. However, I do not feel despair and neither should you feel despair for me too, dear readers. I was washing the dishes after loading my clothes into the washing machine last night around midnight. It did feel like I had a preview of a solitary life, you know, should all my siblings be blissfully married and my parents peacefully passed on (touch wood many many). It did feel quite lonesome but at the same time quite empowering. I am not bothered by anyone and I do not have to take care of anyone except for myself. So yeah, I am not afraid nor worried about living alone. I think when the need comes, I will pick up cooking naturally. I secretly want to kickstart a home pantry project. Like clean up the counter and spaces beside the fridge and decorate it according to my taste and maybe fill up the cabinets with pantry shindigs of my taste as well. Was thinking of a New York concept. You know, those artsy jazz bars feel. Hmm… that will be quite a project, which needs time and capital. For the first time ever in my life, I actually have quite a lot of leave left, which I am planning to bring over to next year so I can be in Manila, Philippines with Lyra for her wedding! I was thinking of staying there for longer than a few days… maybe a week. Hence, I have been trying to learn Tagalog lately. Muahahaha. It is quite easy, given how similar it is to Malay. Hopefully, by next year, I can have decent Tagalog listening comprehension, speaking, and reading skills. So this is a project by itself, which is why I don’t feel like I can embark on that pantry project. Or maybe I need a productivity tool that can help me sort out those things… kind of like a timeline, which allows me to see deadlines and chart the sub-tasks I need to complete by a certain time in order to achieve the ultimate goal and it deadline. If you have any recommendations, feel free to let me know be it paper-and-pen or in the form of an app. I just need something really comprehensive because look at me and my plans… we’re going nowhere as I sometimes have absolutely no idea where to start or how to start! Well, actually there is something that has been bothering me a bit… no, nothing to do with my romantic life or lackthere of. We can safely agree that that aspect of my life has been frozen in some cyrogenic pod in my brain, yeah? It’s… still a personal issue but… hmm… I think I will spill the beans much later on… for now, I will be living with it for a bit so if you see me walking around with a cloud over my head, just be understanding, okay? Thank you. And yeah, this song is a serious earworm for me right now. Sometimes, the answer we seek is right in front of us yet we either do not see it or choose not to see it. I must say I was actually very attracted to the Doctor in Education (EdD) programme when I attended the briefing on it. Unfortunately, whether it was because of my ego in wanting to achieve a PhD or my determination to pursue a PhD, I have completely overlooked EdD. I am forced to admit the fact that I just wanted the ‘Dr.’ title to my name. Yes, folks. That is the most selfish and arrogant thing I am willing to admit to and now I see why intentions are very important in helping you get the things you want in life. I approached PhD with the most wrongful intention, which is why I am denied of it. In retrospect, the way things are moving in my career and the things I am passionate about, all leads to that EdD a whole lot better than the PhD. I shouldn’t be showing all of my cards but everyone knows how stubborn and honest I am by now. The workplace is really considering me for the Senior Teacher position. Now, I have been questioning if I should pursue it. I think all it takes is for me to agree to it and then it is “Welcome to the ride of your life, kid”. I have been hesitant to pursue it because I just wanted to go about things quietly… you know, take things easy but let’s face it — no matter how hard I try to avoid it, if I am destined for that path, it will chase after me. The more I run from it, the more lost I get straying away from the path I was supposed to take. The things that attracted me the most to the EdD is the pragmatism that comes with it. I will not only specialise in the hard skills of education such as curriculum design or teaching and learning skills but also the soft skills of professional practice and improving the industry by resolving issues within the classroom or workplace or the entire educational landscape. That being said, I would absolutely love to make an impact, even if I remain an unknown in the field, as long as I am given a chance to do so. Do nothing for glory for glory should never be an objective and often it is a trap that reduces Man more than it elevates him. Additionally, the EdD looks into grooming professionals into leaders who can contribute back to the field and the community. You got to agree with me that it makes far more sense for me to be a Senior Teacher and pursue an EdD in order to not only lecture but have the ability to transfer my expertise into viable solutions and input to the industry. It all seems perfectly planned, doesn’t it? I would be foolish to not pursue that course in my career and chase a self-serving dream instead. The application for EdD is already over. At least now I have a year to prepare my application package. I do not need to take nor submit my GRE scores for EdD (yep, in all honesty it makes it easier on me than applying for PhD). However, I have to bear in mind the competition for places in the institution. Who am I kidding? It is frigging NIE and MOE teachers would definitely have a leg up over me as they were NIE’s graduates. On top of that, I have to compete with professionals with years of expertise and knowledge who are far far more qualified than I am. I cannot be complacent nor take things for granted. Additionally, unlike PhD, which requires me to have two academic referees, the EdD needs me to submit referrals from an academic referee and a professional referee. This means I will need to reinvigorate my relationships with my former Honours thesis supervisor and my current Principal. I do not have bad relationships with them but if I want them to put a good word in for me, I will need to ensure that I am consistent academically and professionally from now on. It is a huge undertaking but the best part of this undertaking is that I finally see the light. I am no longer lost. I know where to go and how to get there. It is time to work. Also, maybe watching House of Cards has somewhat impressed me and influenced me in terms of thinking more broadly about life choices. I may not be as scheming as Francis ‘Frank’ Underwood but the little cogs and wheels in my brain do turn to plot my life’s maneuvres. Again, I am not ashamed to admit that as long as nobody gets hurt in the process and I do not need to kill anyone. I woke up feeling a whole lot better this morning. Sleeping on things help sometimes. Panic level is brought down a notch. Still feeling the urgency but calmly dismissing negative thoughts. When I went to the kitchen sink to wash my hands, I realised that the dishes were left unwashed. Usually after breaking fast, I would wash them but last night I didn’t as I was really anxious to find out more about the GRE and to get a measure of the commitment level it requires from me. So looking at those unwashed dishes reminded me that I would definitely have to compromise a lot of things in merely applying for PhD. You see, even if I give my 500% to this application, the institution may not want me in the end. Am I prepared to receive the bitter outcome mentally, knowing that my efforts were at a certain cost? Yes. I am prepared. In fact I reminded myself I should put in effort to maintain my usual good habits while pursuing a passion. Let that be the last time I neglect my duties. That was one lesson learnt this morning. Another lesson learnt was when I asked my mum if she would like to have a pan washed as I noticed there was substantial oil in it. I knew it was used to fry eggs for the pre-dawn meal but I was not sure if she wanted to re-use the oil. I mean, I am no cook and I don’t help out with the cooking so I am very blur when it comes to such things. I was expecting a direct yes or no. Instead, her face lit up and said, “Why, Dada? Dada nak tolong cuci? Syukur, rajinnya anak aku”. I must admit I was not only amused but my heart was warmed as well. Then a moment later I felt spooked. A’s words rang in my head, about how my parents would feel when I finally learnt how to cook. So, okay, A. I shall accept your challenge to cook fried potato slices with sambal tumis ikan bilis with a little bit of bee hoon as my 2016 Cooking Challenge. Muahahaha! The ‘Challenges’ tab above has been duly updated. The final lesson learnt is related to my current position at the sea of life. Friends shared this video on FaceBook about a former CIA who gave insight into the varying perceptions shared between counter-terrorists and terrorists, which in the end, turned out not to be so different after all but based on similar interests and hopes. It reminded me of my Honours research…. The passion I felt for the subject… I could have chosen to research on my plethora of interests such as gaming, music, movies, or animations, and so on. However, I decided to work on quite a serious matter instead of a recreational one like the above. I realised that although I am now involved in Early Childhood, I am still quite rooted to Communication and Islam. I have indeed been looking at things all wrong as I have suspected in my previous post. I do not actually have to worry about which area I should research on and that no matter what I choose to investigate, I am not going to lose my touch in my previous studies. I do not have anything to fear or worry about. I also do not have to be so gan chiong and try to force Communication, Islam, and Early Childhood together. So yeah, Alhamdulillah. All my concerns and worries that made me panicked were addressed all at once within a short period of time and in one morning. Panic. I feel panicked. That is all I am feeling right now. My mind is in a horrible mess of a frenzy. NIE requires me to submit my Graduate Record Examination (GRE) on top of my research proposal. Oh, my God. I just want to have an epic meltdown already. Yup, now I remember why I stayed away from school for so long after completing my latest educational stint… and I also remember the — excuse my language — mindfuck that comes with being a research student. My mind is simply screaming right now. I only have until 1 August to complete my application. Why the rush? I found out that next year may be the final year for part-time programmes… after which, they would only be providing full-time programmes. The only reason I have to sit for a GRE is because I graduate from a foreign institution… seriously. I mean, the purpose of the GRE is to give the prospective school an idea of my verbal and quantitative knowledge as well as my analytical skills, yes, sure, I get that… but wouldn’t all that already be evident in my Honours thesis? Only God knows how much my brain hurts completing that very complex three-pronged and three-method research. My research project was quite an ambitious undertaking for an Honours thesis. I don’t know why I was crazy enough to do that. And now am I crazy enough to hurt my brain again in an epic rush to complete two heavy tasks? People take months to prepare for the GRE… and I only have weeks if I were to submit my application on time. And I have yet to think out my research proposal. Well, if I do carry on with my application, I can tell you that this is a make-or-break thing — either I am meant for it or not. Straight up to my face some more. Like, Nurul Huda, this is the ultimate test that shows whether you got it or you simply don’t. Very Kamikaze. I feel like a sailor out at sea. Wherever I turn, all I see is the vastness of the horizon. Just the ocean here. Just the ocean there. No island. No animal. Not even a boulder or an iceberg. I am holding the wheel with one hand and in my other hand, I am holding a broken compass. Its arrow is simply spinning and spinning and spinning because my heart simply has yet to decide the direction to take. Oh, how do I navigate these troubling waters then? Even as the waters remain still, I sense the danger in staying too long. There is so much dread in the air. The storm is coming for sure and I don’t set sail to somewhere, I will get caught up in its winds. To be honest, it is not only in my academic life that I am feeling conflicted. I feel conflicted in my personal life. I feel conflicted in my professional life. I feel conflicted in my family life. I went through previous posts on this blog; one minute I am hopeful, the next I surrender. Like, woman, get a grip on things already! 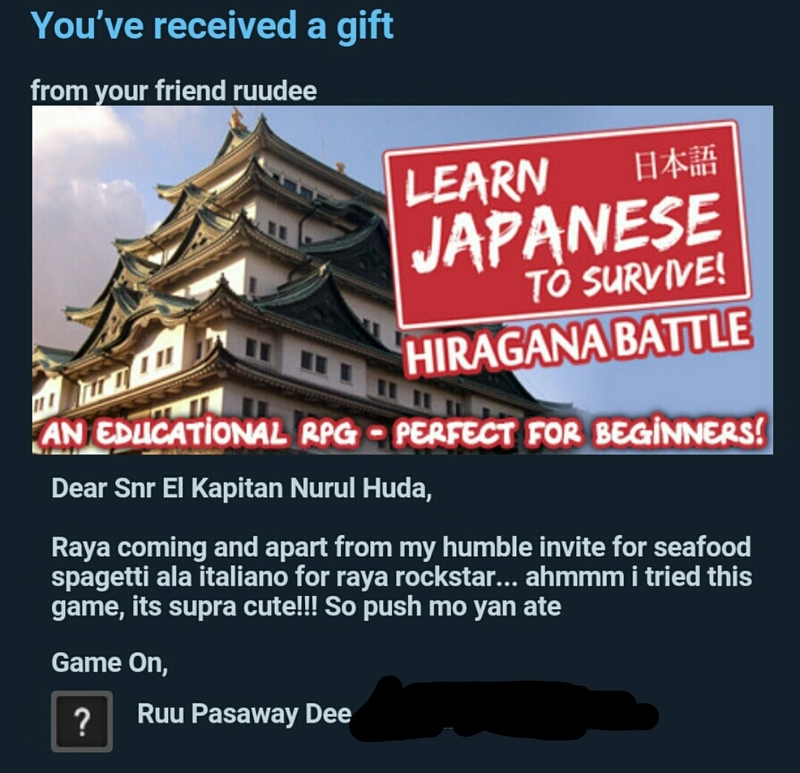 WHAT DO YOU WANT, NURUL HUDA?! No… The question was never about what I want. The question that was begging to be asked all along is how am I going to get what I want AND how do I get out of the disappointment of not getting what I want? Stop thinking like a brat, Nurul Huda, and start thinking real. The destinations have always been there. Regardless of which destination I choose, which also means regardless of which life choices I make, they are all readily available at my disposal. I do not have control over my destinations. They may change, like those strips of beaches that appear and disappear at certain times in the middle of the ocean. I only have control over my plans… which routes to take, how to steer my ship, which pit stops to make, who to hire to be part of my crew, and alternative routes to take in cases of emergency. Etcetera, etcetera. And please note, only _plans_. The actual navigation and journey remain susceptible to so many elements. Right now, there is a whirlpool forming ahead in between my ship and my island destination. In fact, I am probably only seeing the shadow of my destination. In fact, even as I carefully managed to navigate my way around the whirlpool, I may not even end up ashore. It could all possibly be a figment of my imagination, just an illusion, after having been lost at sea for so long. So now, what is my plan? Let’s get lost in the cause. We’ll still end up somewhere. Maybe not where we want to be but it could possibly set us towards a better place to be.